Arsenal have been told that replacing current manager Arsene Wenger with Newcastle boss Rafael Benitez would be an ideal move for them to fix their problems. This is the view of a player who briefly worked under him at Liverpool – Danny Murphy, who says the Gunners simply cannot carry on as they are under Wenger. Arsenal were beaten by Benitez’s Newcastle at the weekend, leading to plenty of the club’s fans to call for the same thing after witnessing the fine job done by the Spanish tactician at St James’ Park. 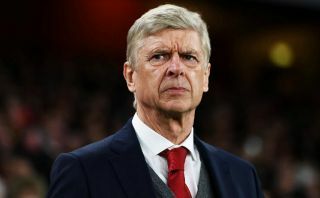 Wenger’s side let a lead slip and made it five defeats out of five away from home in the league in 2018 – the worst record of any team in English football’s top five divisions. This should set alarm bells ringing and Murphy believes Benitez would make the north Londoners far more solid and aware of their jobs. It remains to be seen how popular this appointment would actually be considering some of the bigger names linked with the job, but Murphy insists it would be a smart move. ‘He [Benitez] is exactly what Arsenal need,’ Murphy told talkSPORT. ‘I heard Paul Merson talking on the Sports Breakfast, saying Arsenal fans want a certain style of play and want to see a team play expansive football…but they do that now and they get murdered. ‘I only worked with him briefly, but he was bang on it. ‘He was all about: “This is what we’re going to do and this is how we’re going to do it”. You know exactly what you’re doing.